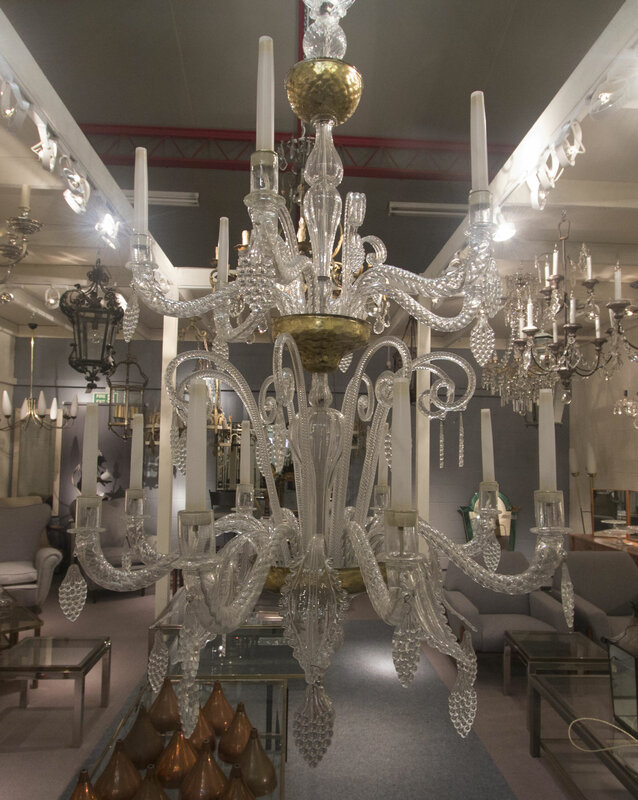 The value of items can be subjective. 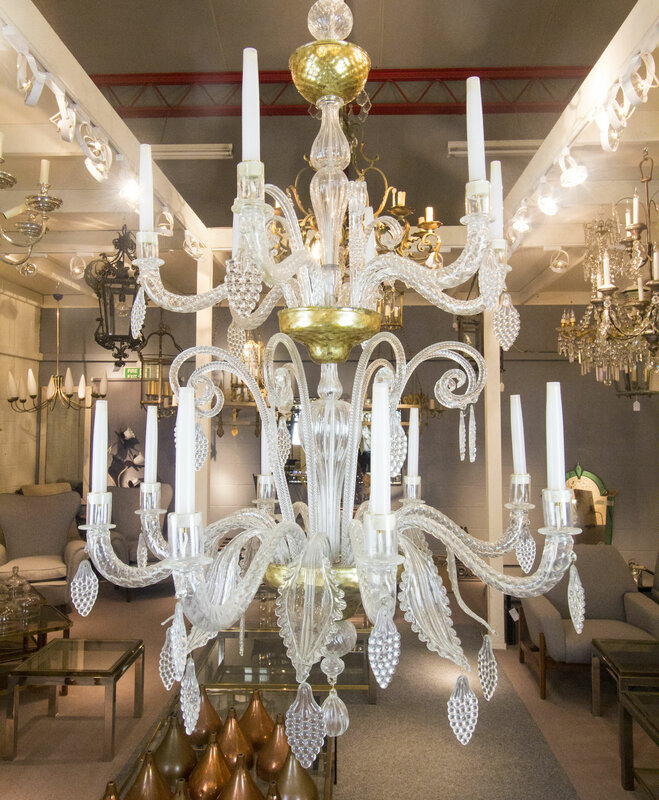 One of the most important ways to differentiate and increase the selling prices of your items is to portray them in the best possible light (excuse the pun). 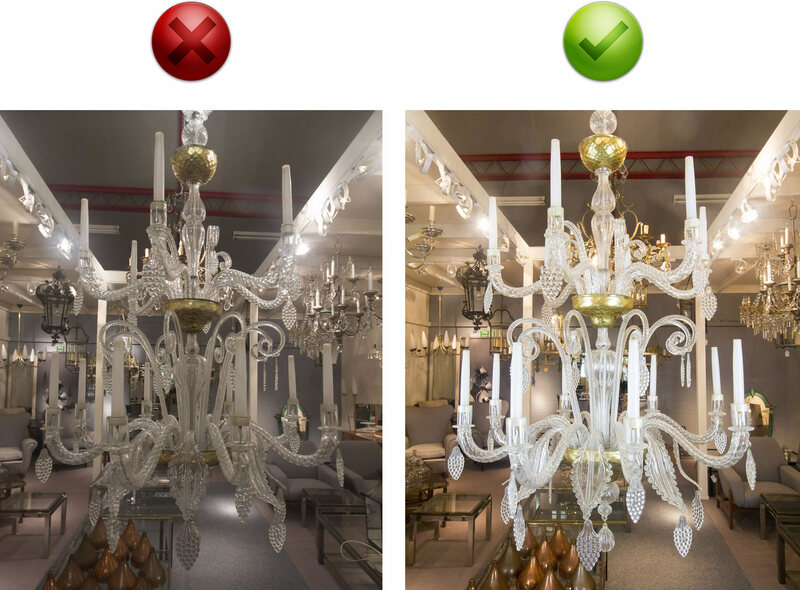 Good lighting is one of many ways you can take better photographs of your stock. In our previous article about aperture, we discussed how you could blur out backgrounds to take photos. 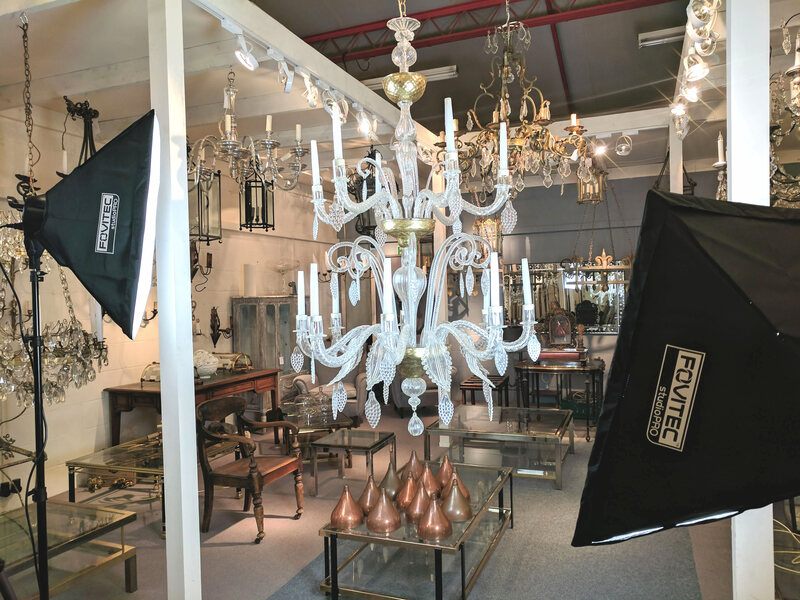 In this article, we're photographing the same antique chandelier from our client Jill at Norfolk Decorative Antiques and showing the differences between how it looks with and without lighting. It's important to remember that photography is the process of capturing light. So the better quality the light, the better quality the photo. A big difference from the photo without lighting as you can see! The photo looks much more vibrant, and it's much easier to pick out details. b) Used a larger aperture. Read more on that here. 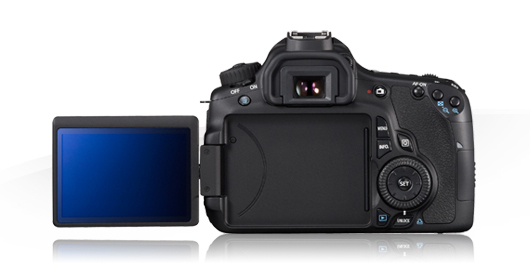 A Digital SLR camera is split into two main components; the camera "body", and the lens. Camera bodies are a bit like computers; the technology moves at a very fast pace and they quickly become outdated. Manufacturers like Canon, Nikon and Sony need to keep bringing out newer models so they can keep selling cameras and stay in business. So they have to keep evolving the technology and you'll often find that a camera body that costs £1,000 now, will likely only cost £350 in 3 years time as it gets superseded by newer models. You will often find however, that a 3 year old model, or even a 5 year old model, does everything you need it to do. Newer camera bodies often provide more megapixels; but unless you're going to take photos that you need to blow up to the size of a billboard, it might just be overkill. The Canon 60D I've used here is a perfect example of that; it's 18 megapixels and cost me about £300 on ebay. When buying a second hand camera body, find out how many shots it has taken. This is like checking how many miles a car has driven when you buy a used car. Most Digital SLR cameras have a facility to tell you how many shots it has taken. One downside of course of buying a second hand body is lack of warranty, but I've personally never had a problem with any of my second hand camera bodies. If you buy a kit with the lens and camera body all together in one box, then the lens itself is most likely pretty bottom of the range. So let's say if you spend £1,000 on a camera which comes with a lens in the box, then the camera is probably about £900 of that, and the lens the rest. But let's take the same £1,000 budget and spend £300 on a 3-5 year old body and that leaves you with £700 for a GREAT lens, or even TWO great lenses! a) A £700 lens bought 10 years ago is probably still worth about £700 today. So they're a much better investment. If you buy a Canon camera, then buy Canon lenses. If you buy a Nikon camera, then buy Nikon lenses, and so on. 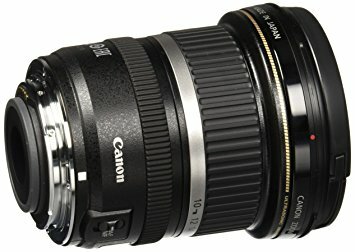 There are companies out there such as Sigma, Tamron and others who make lenses compatible with Canon, Nikon, Sony, etc, but in my experience I've found that they're just not nearly as good quality. The lighting I've used here is continuous; which simply means it's on all the time rather than operated with the flash. The set from Amazon was around £200 and includes three lights; two main soft boxes, and a "hair light" which can create lighting from above. 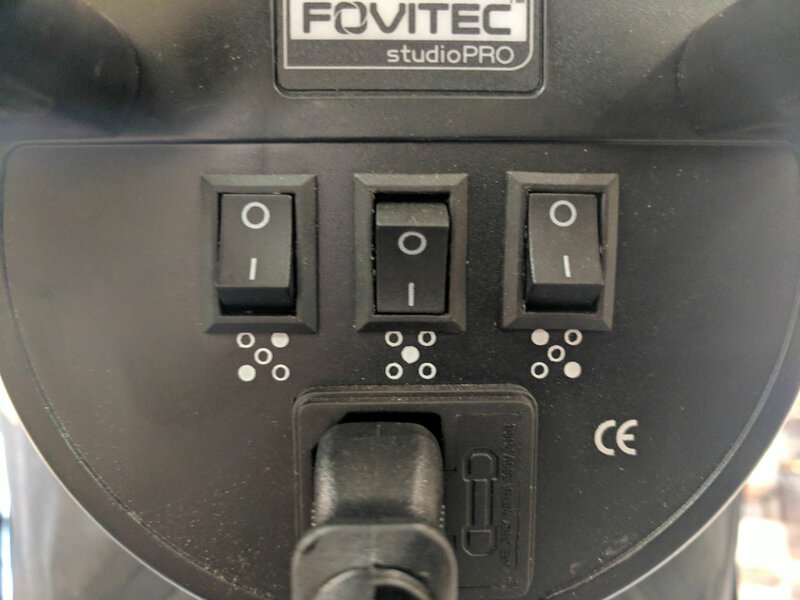 The two main lights have three bulbs and switches on the back allow you to control how much light you focus on the subject. Tripod - Make sure you get a sturdy tripod which is easy to put up and down. Sturdiness is important; you don't want a cheap tripod meaning your camera ends up falling over and being smashed! Remotes - If you want to be fancy, then you can often buy remote controls for your camera to make photographing even easier. Tethering - Or, you can get even fancier and "tether" your camera to your computer so that the photographs come up on screen straight away. Perhaps we might cover that in a future article! Once you've photographed your stock, it's well worth editing the photos to put on the final touches. Read our article on that by clicking here. 5) Want to improve your photography? Contact us to find out more or register your interest. Follow the blog on our website and our Facebook for more product photography tips, website tips and advice. If you don't yet have a website, contact us about how we can help you sell online easily.